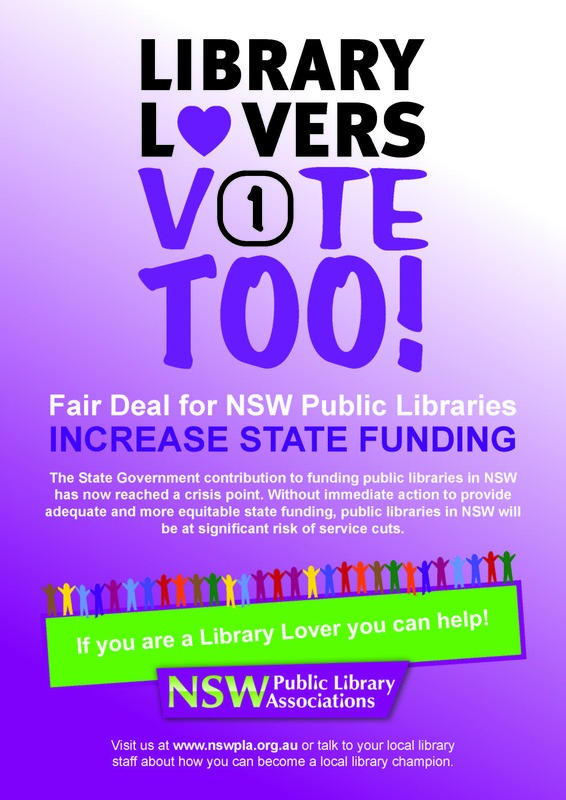 Parramatta City Library will join all NSW public libraries for the community funding campaign on 5 December 2014 – Day of Action. If you are an avid reader and a library lover, you can help. Everyone is invited to join us for a free morning tea at 11:30am – 12 pm, at all Parramatta City Library branches. Your support is important and it will enable us to continue providing free library services and equal access to information, and many more. This entry was posted in All and tagged Day of Action, Funding Campaign NSW Public Libraries, Parramatta City Library by admin. Bookmark the permalink.